First off, I'm trying something new to save time -- yes, it's the old copy/paste ploy. I'm not really sure how it's going to translate to the Blog from the Hook Me Up! newsletter, but if it's not heinous, wow, does it save me a ton of time. So, if you love it or hate it (or don't care either way LOL), I'd appreciate you letting me know in comments so I know whether this is good for all y'all or not. Due to the fact that the hubs works, as I used to, for Corporate America, and due to the fact that this means that Corporate America has a lot of control over our lives, it seems that though we are both lifelong and happy Southwesterners, we're about to discover what it's like to be...Southeasterners. We are being moved to Atlanta, GA. When we're going is somewhat up in the air, but by the start of January the hubs will be walking into an office in Atlanta that is not in our home (for the first time in over 15 years) and we will be fully moved by first quarter 2018, if not before. But the move means that 2018 will only see one Alien Series release -- Book 17, Aliens Like Us -- and it's likely coming out in August 2018. I plan to have my short story collection, The Alien Collection -- which will have all the Alien Series shorts that are in print, out of print, and not yet printed in it -- release in May 2018. (Yes, I said it was coming this year. I've chosen to ensure that there's a May Alien release of SOME kind in 2018, plus I really need to take the time to, you know, move.) And I plan to have other releases coming out during the rest of this year and next year as well. For those of you who saw me all the time in the Southwest, or who have planned to see me but just haven't gotten around to it yet, your last easy chances for the foreseeable future are Westercon, San Diego Comic-Con, the High Desert Book Fair (and related signing events in Victorville, CA), and my December book tour (still being set up, but it will be the usual suspects and probably nothing extra). And, you know, for those of you who are too far away, um, well, you're probably still too far away. But, hey, hope likes to spring eternal, right? So, start looking at things like DragonCon (yes, I am hoping to be there in 2018) and other Atlanta-adjacent things. If you can only make it to one con this year, make this the one! Find me at my tables in the Dealers Room and all over the con! AND DON'T MISS THE LAST EVENING EROTICA EVENT OF THE YEAR! Haven't been to an Evening Erotica event and aren't sure what you're missing? Then check out The Two Gay Geeks' podcast from the event at Phoenix Comicon! Trust me, it's even funnier and more fun in person, and if you're there, you get to be the one winning the prizes! Fall and Winter Dates are coming, so stay tuned! (and yes, you can get it from me directly at Westercon). check out the cover! And don't forget to pre-order! 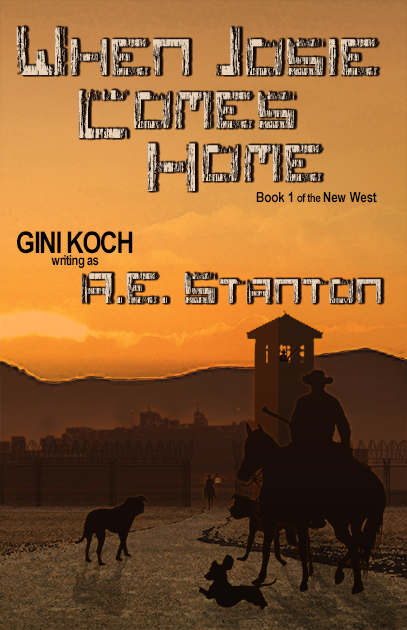 Speaking of The New West series, have you gotten Book 1, When Josie Comes Home (by moi writing as A.E. Stanton) yet? If not, why not? Head over to Amazon, B&N.com, Smashwords, orCreateSpace to order. Mysterious Galaxy has signed copies, and The Poisoned Pen can get personalized copies to you, too! And you can always get copies directly from me at Westercon, too! 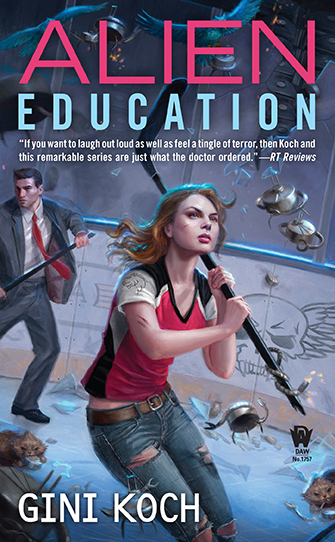 Check out the Q&A I did over at Unbound Worlds about Alien Education and a whole lot more, and read about the biggest WTH moment (so far) of my book signing career! Then, did you miss out on the Livestream event for Alien Education's book signing at The Poisoned Pen Bookstore? While I can't say that it had the same "zip" as the event described in the interview, it was still pretty darned fun. So, rectify and check it out! 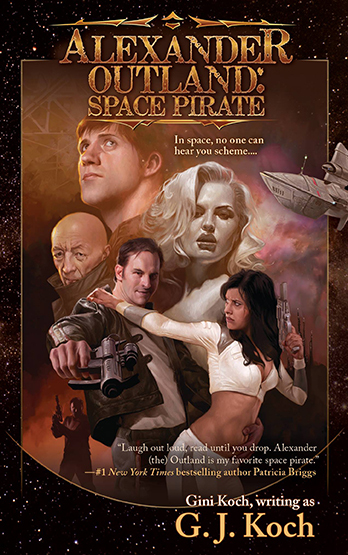 Don't forget, the mass market re-release of Alexander Outland: Space Pirate (by moi writing as G.J. Koch) is available NOW, so get your copy from your favorite bookstore (Mysterious Galaxy and Barnes & Noble Victorville both have signed copies available, and you can get personalized copies via MG or The Poisoned Pen as well) or online retailer (such as Amazon or B&N.com). And you can always get copies directly from me at Westercon, too! And now for some science! Per SyFy Wire, a pair of black holes sent ripples of time to Earth. I think we all know that probably indicated when Algar came to town, so to speak. Then, per HuffPost, an Aerospace executive is convinced that aliens are living on Earth. I think he's about to lose his security clearance and spend some time hanging out in the Dulce Science Center chatting with Christopher and Chuckie about why being a blabbermouth is a bad idea. Per Yahoo News, cold spot discoveries could mean there are parallel universes out there. Which Kitty finds hilarious and all y'all already know about, but it's nice to see everyone else catching up. And last but not least, per AIRS, NASA has discovered that we've created an artificial barrier around the Earth that protects it. ACE says hi and that ACE might be ready for ACE's closeup, but that ACE would prefer that Kitty do all the real talking. And now, a little more about the whole moving thing. The hubs and I grew up in Southern California, and we loved it. All our friends and family were there and we never planned to live anywhere else. But then I got that job with Corporate America and the first thing they said was, "You're moving to Phoenix." But now we're going to leave that. And, just as we did when we left Los Angeles, we're looking at Atlanta in the same way as we did with Phoenix -- we have no idea what this city will bring to us, but we know that wherever we go, we will find new friends, new family, and a new home we'll love. We're choosing to live by the Girl Scout Motto -- make new friends, but keep the old, one is silver, and the other gold. So, soon I'll be saying "goodbye my love" to Hell's Orientation Area and "hel-looo sailor!" to Hotlanta. I won't say that it's not bittersweet to do this, but I also won't say that it's not a cool adventure awaiting us. And, after all, cool adventures are my business. Well, that's it for today but, as always, more's on the way. Enjoy the rest of your weeks, stay as cool as you can, and regardless of where you are, let's be readers out there! Peace out, my li'l gangstas, and I'll catch you on the flip side! And yay on how close things are west of the Mississippi. Seriously, I mapped out what I consider my region and, for the Southeast, it's HUGE. LOL So yay on seeing everyone I haven't been able to see so far! Sorry you're having to move away from your home area, not sorry you're moving closer to me! Best wishes for a easy move for you, the hubs and the critters!